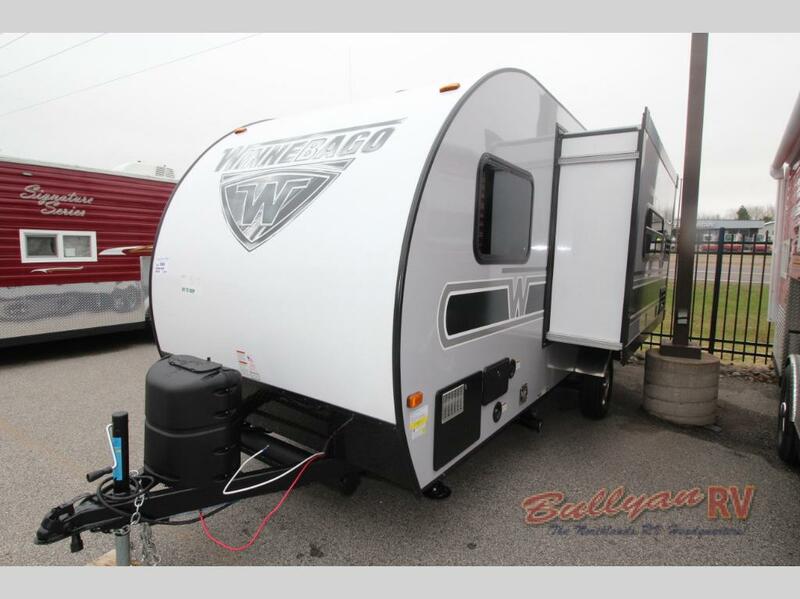 Winnebago Towables Winnie Drop Travel Trailer: Lightweight, Stylish and Fun! Compact, lightweight travel trailers are super hot right now. RV camping is now more accessible than ever thanks to these easy to tow and affordable campers. 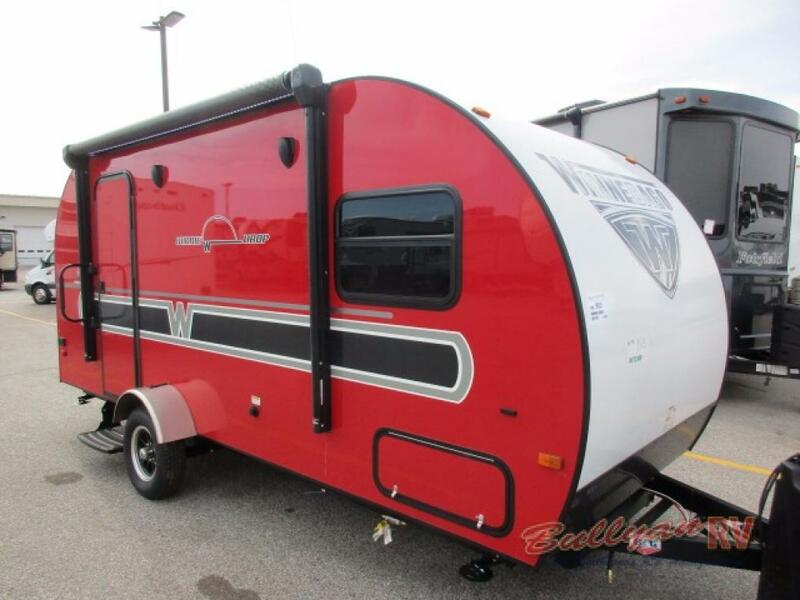 One excellent example of a well built, light weight tear drop travel trailer that offers a number of special features is the Winnebago Towables Winnie Drop Travel Trailer. Available in a number of fun colors and a variety of floorplans, you have a variety of Winnie Drop camper choices. Choose from models with or without a slideout, a full or wet bathroom, u-shaped or booth style dinette. 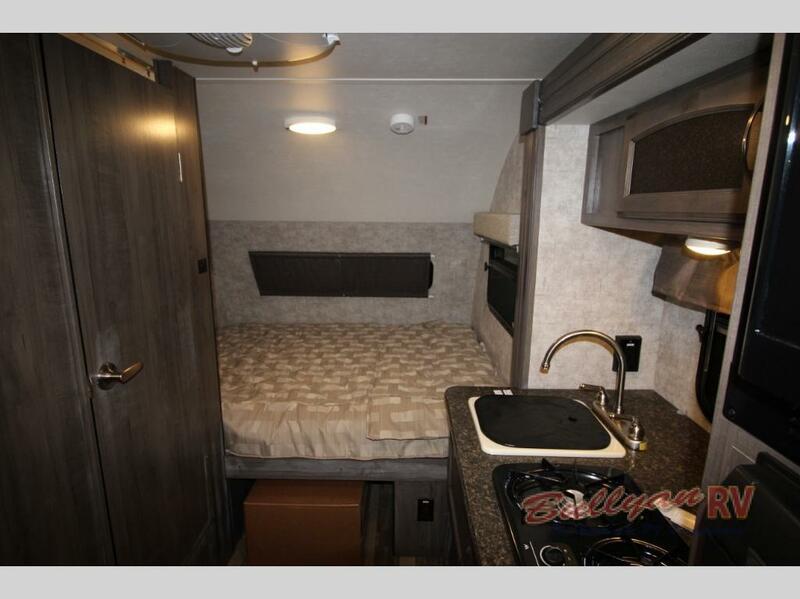 With 5 different floorplans, you are sure to find a layout that will fit your travel needs. Dry weights range from 2,400 -2,800 pounds, so towing your RV with a mid sized SUV or cross-over vehicle should be no problem. The aluminum framing and aerodynamic profile adds to the easy towing experience of the Winnie Drop and also saves you money on fuel. 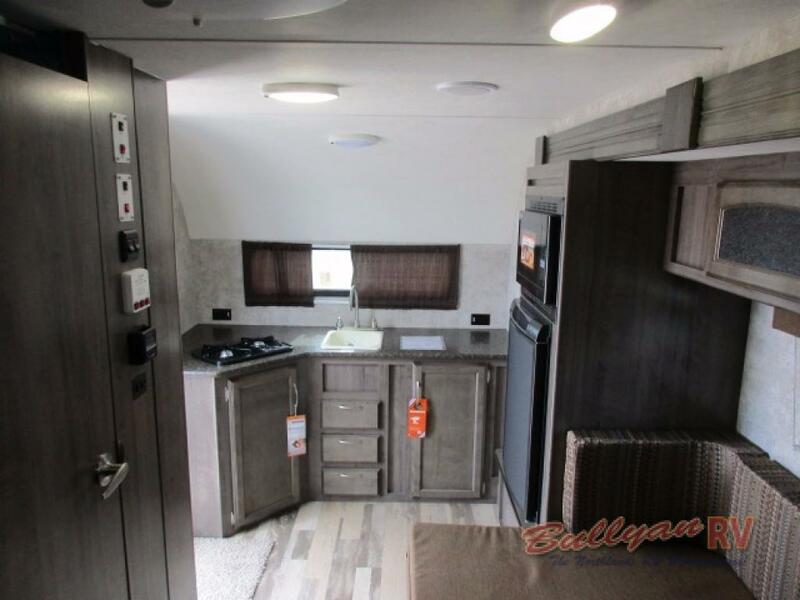 All models feature a queen mattress (except the 170K which has bunk beds instead), a 13.5 BTU low profile roof A/C, a large patio awning and plenty of storage. 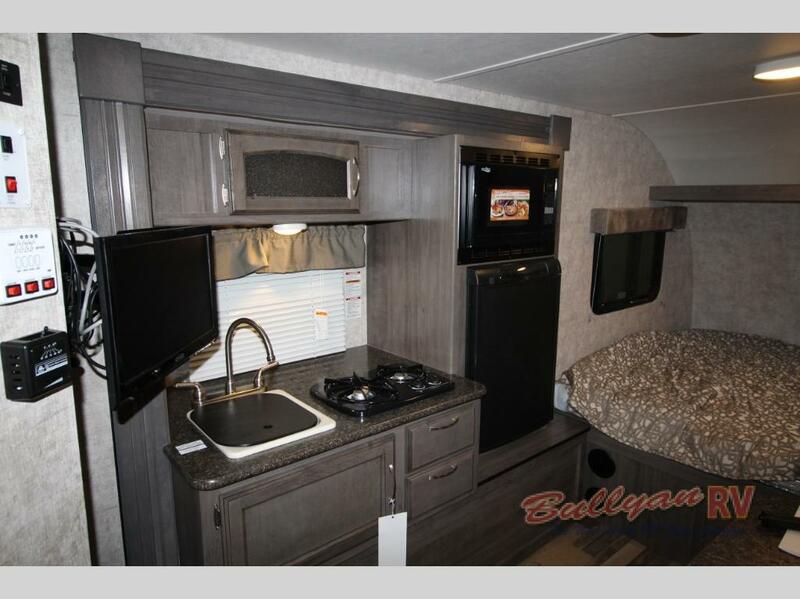 Campground meals are a breeze thanks to the full kitchen complete with a 2 burner stove, 3 way refrigerator, convection microwave, pantry and high rise faucet over a single bowl sink. Enjoy breakfast lunch or dinner at the U-shaped or booth dinette table, or bring your goodies outside for a picnic under the patio awning. The Winnie Drop is constructed with the same quality Winnebago is known for. Gel coated exterior, one piece fiberglass roof, 5/8″ plywood floors covered in residential vinyl flooring, torsion axles with self-adjusting brakes, NXG frame technology, diamond plate front rock guard and aluminum wheels are just some of the high quality components that make this camper stand apart from its competition. 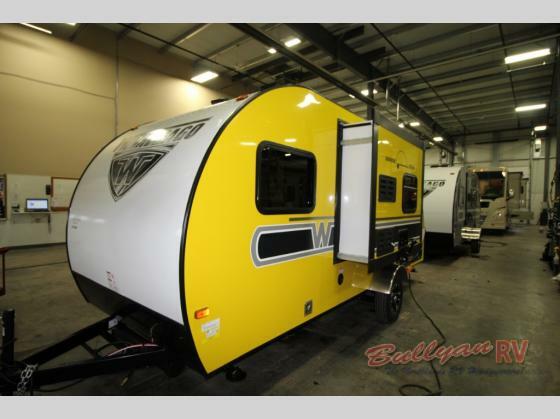 Contact Us at Bullyan RV or visit us at Our Location to take a tour of the eye-catching retro styling of the Winnebago Towables Winnie Drop Travel Trailer. This cool little camper is a sure bet, but the one big question remains… which color would you choose?